Within the last year golf enthusiasts found Louisiana’s Golden Nugget a great resort destination. 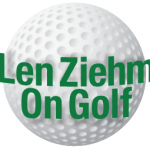 LAKE CHARLES, Louisiana – Given the economic difficulties golf has experienced across the country the last few years, it was refreshing to see what’s been happening in this tourist-driven town just 30 miles over the Texas line in southwestern Louisiana. Lake Charles has almost as many casinos (four) as it has golf courses (six). Two of those casinos have golf courses, and they’re good ones. L’Auberge has its Contraband Bayou, designed by the estimable Tom Fazio. The Golden Nugget Resort, next door, has its Country Club at the Golden Nugget which – like the resort – isn’t even one year old yet. The course had a soft opening in May and a formal one in October of 2015 and in February, 2016, was named among the Top 10 New Courses by Golf Digest. In fact, nothing is really old in Lake Charles. L’Auberge is celebrating its 10th anniversary this year. When you drive into this casino area you feel like you’re approaching a mini-Las Vegas. The hotels are stunning and — just as important from this perspective – their golf courses fit right into the swing of things. This is a great place for buddy trips — be it men, women or couples – because there’s something for everyone and the attractions are so close together. We’ve visited several casino resorts with golf courses over the years, but none match up to what we found in Lake Charles. This community of 74,000 draws its visitors heavily from Texas, a state that has largely steered clear of the casino world. Houston, just two hours away, brings loads of visitors to Lake Charles and New Orleans is about three hours away in the opposite direction. People come for the gambling, of course, but the hotels and their accompanying array of shops, spas, pools and restaurants are also enticing. So are the golf courses. Contraband Bayou shows its longest hole – No. 1 is 611 yards from the tips down to 500 from the forward tees – right off the bat. It’s a par-71 layout that fits the mold of a perfect resort course. The fairways are wide and the layout isn’t very penal even with its eight lakes and unusually deep bunkers factoring in. The course is challenging, interesting and – most important – fun. 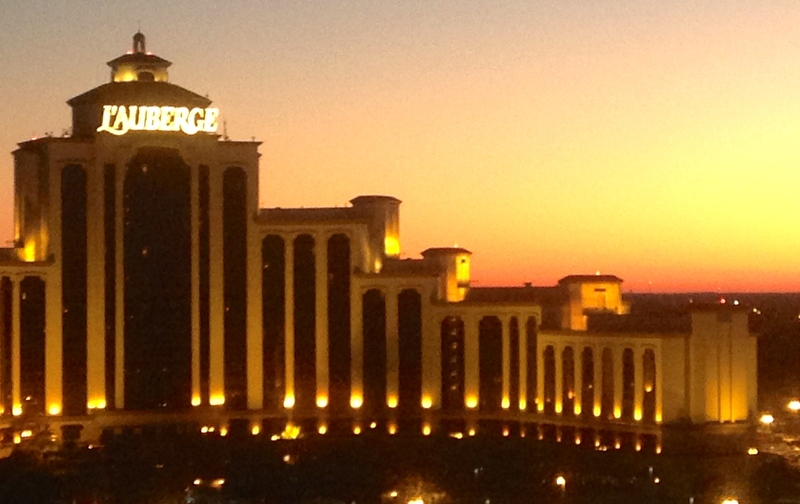 The L’auberge Casino Resort in Lake Charles presents a stunning view at sunrise. The golf publications were quick to recognize Contraband Bayou, with its most significant accolades coming from Golfweek Magazine, which listed it among its Best Casino Courses in 2011, 2012, 2013 and 2014 and among its Best Places to Stay in 2014 and 2015. Not only that, but the course smells good with its gardenia fragrances in some spots and No. 13 is a particularly pretty par-3 – our favorite from the viewing standpoint. I’m not overly impressed by any of the course rating systems, but I suspect the Golden Nugget course will also be in for its share of attention in the next few years. The first sign of recognition came a day after we left when Golf Digest magazine included it in its Top 10 Best New Courses for 2015. Golden Nugget’s course was designed by up-and-coming California-based architect Todd Eckenrode and Origins Golf Designs. This course is much different than Contraband Bayou. In fact, it has a generally refreshing look – especially on the back nine where holes 13 through 16 form a four-stretch of exceedingly good short holes. Eckenrode alternates par-4s of 329 and 357 yards with par-3s of 170 and 169 yards (all measurements taken from the back tees). All are fun holes with unique, memorable challenges. They’re not just a stretch of holes where you figure to score well on. 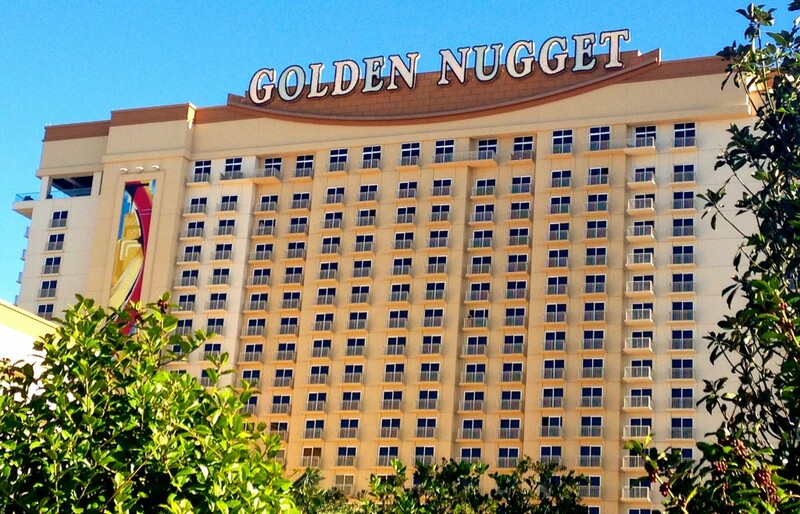 Like Contraband Bayou, Golden Nugget is designed for resort play. Its fairways are extraordinarily wide and its greens are huge – and much quicker than the surfaces on the older layout. For a course still in its infant stages Golden Nugget was in excellent condition just a month after its formal opening. No. 13 at Contraband Bayou is one of the prettiest par-3 holes in Lake Charles. One thing that sets the Country Club at Golden Nugget apart from the other resort courses is its stylish 4,000-square foot clubhouse and the food served in it. The place was hopping when we were there on a mid-week visit and the diners weren’t all golfers by any means. The restaurant stands alone on its quality, even with the golf courses and casinos within walking distance. Golf may have blossomed in Lake Charles because of the casino influence but there are other layouts in the area worth visiting. Heading that list is one with the fancy name of The National Golf Club of Louisiana. Dave Bennett, the veteran Texas architect, designed this layout for the city of Westlake, which is just across one of the area’s many long bridges leading into Lake Charles. 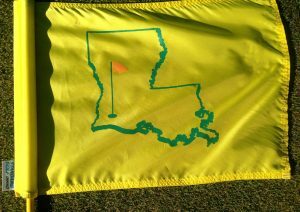 The flags at The National Golf Club of Louisiana look a lot like Augusta National’s logo. The National, as it’s known to its staffers and players, was built in 2009 as the cornerstone for a still developing residential community at a cost of $9.6 million. Bennett’s design includes 14 lakes and 80 bunkers. What can’t be missed, though, is the takeoff on its name. 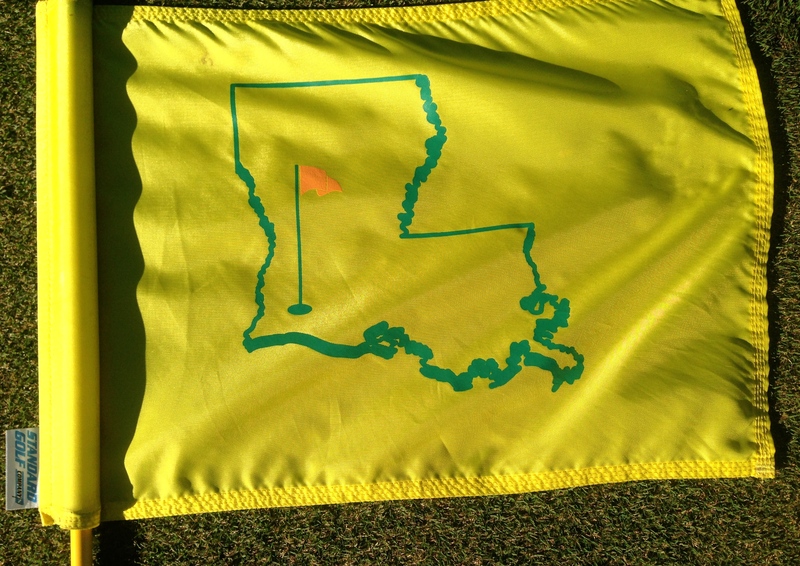 While it’s no Augusta National (home of the Masters tournament) and doesn’t pretend to be, the Louisiana National has flags that closely resemble the Augusta National logo. 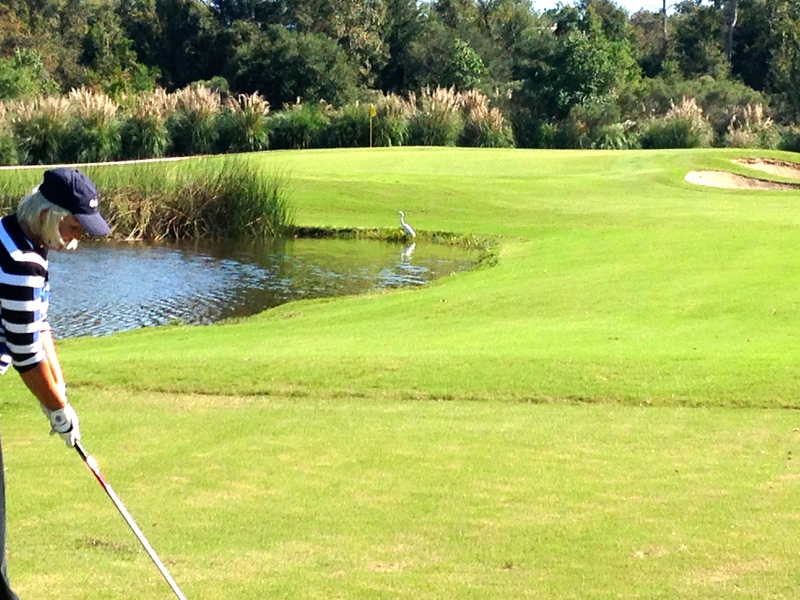 Lake Charles has three other courses in its immediate area that enhance the experience for visiting golfers. If you want a longstanding favorite there’s Frasch Park in Sulphur, a 6, 267-yard public course completed in 1966. If you want another award-winner there’s Gray Plantation, which was in Golf Digest’s Top 100 Courses from 2001 to 2006, and it also has a state-of-the-art Sports Club. And, if you want try a municipal course that hosts more than its share of local competitions there’s Mallard Cove. 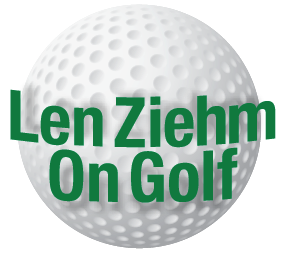 It’s been city-owned since 1976 and added a new clubhouse in 2009 after Hurricane Rita destroyed the old one. 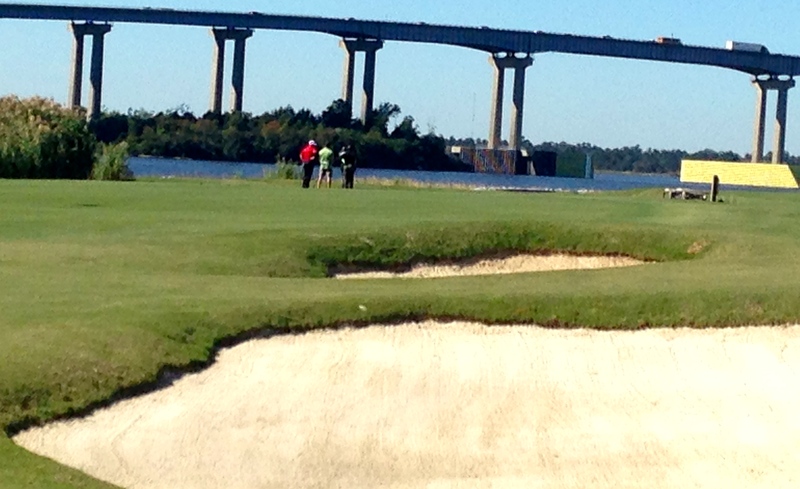 Long, long bridges are everywhere in Lake Charles, especially at the Golden Nugget’s course.